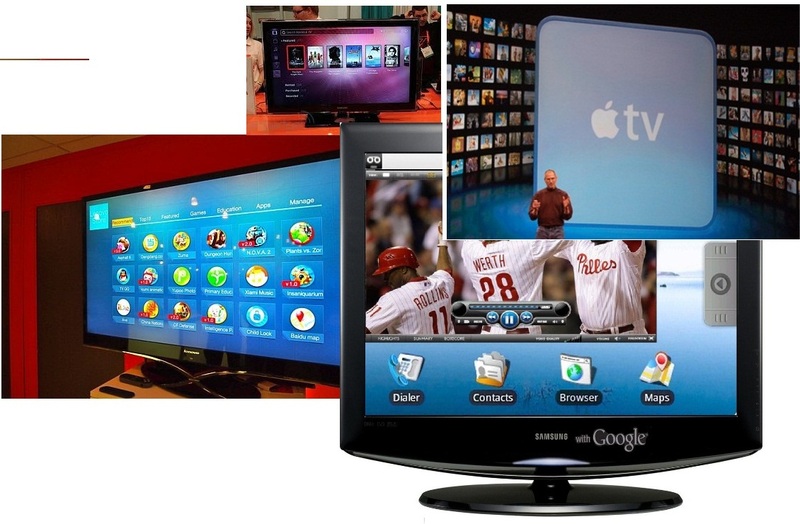 Television has evolved over the years since 1926 when it was introduced.With Internet playing an important role in our life like never before, TV’s now adays come with Internet ready TV. So TV are transition mode from being an Idiot box to Smart TV.Though many TV manufactures provide Internet Ready TV’s they have their own Operating systems.With Apple and Google entering into TV market, it has started new era.In the recent CES 2012, Ubuntu announced their entry into TV market with Ubuntu TV.Also TV maufacturers like Samsung, Sony, LG, Onida started shipping their TV’s with Android Operating Systems.Lenovo is also introducing a new Android based TV.So entry of Operating systems like Google’s Android, Apple’s Mac OS X, Ubuntu will create a new ecosystem in TV industry.With new experiencing of TV viewing their will be a lot of apps developed. Previous: Previous post: Android everywhere? These are exciting times in technology, to think the tv’s our parents and grandparents watched are a big giant paperweight now.